This week’s reviews include releases from Antropofagus, Gideon, Harem Scarem, Inglorious, John Frum, Merchant, Royal Hunt, Sabbath Assembly, Seether, White Ward and Wormwitch. Italy’s Antropofagus have been doing this death metal thing for a while now, and their third full-length record, M.O.R.T.E.—Methods of Resurrection through Evisceration, hears the band at the peak of their very prodigious powers. 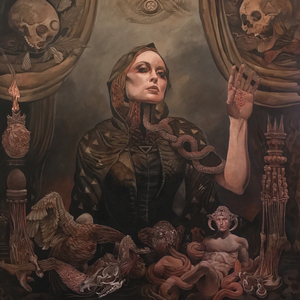 Driven by the relentless percussive assault from Brutal Dave, the album harbors ten full-blooded tracks that steamroll the listener with a pronounced and equal focus on smart riffs and blinding brutality. 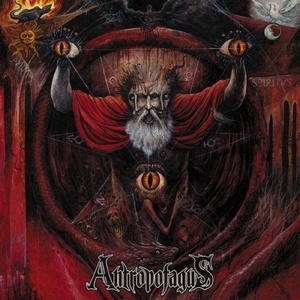 Antropofagus continue to prove to the world that the bands of the Mediterranean are of the most ferocious and incensed lot with M.O.R.T.E., doling out huge grooves that are ribbed and lined and stacked with a palpable enmity. In burly step with Cannibal Corpse, Aeon and Abysmal Torment, Antropofagus deliver a straight-laced killer that all death metal fans should check out. Bonus points for that excellent Malevolent Creation cover. 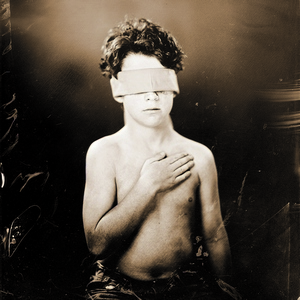 Tuscaloosa, Alabama’s Gideon return with Cold, their fourth album and first for Equal Vision Records. It’s a heavy effort, with elements of metalcore and groove metal. The band has had previous success on the Christian charts, with 2014’s Calloused hitting the top five. This album should help take them to the next level and cross over to the mainstream chart. There’s plenty of intensity, heavy riffs and screaming/shoutalong vocals with some melodic singing adding variety. Hatebreed’s Jamey Jasta adds his trademark vocals to the driving “Freedom,” while Bryan Garris of Knocked Loose guests on “Cursed.” The beefy production expertly mixes the aggressive and passionate music with accessible moments. Canadian hard rockers Harem Scarem are well known in their home country, and have had success in Japan as well. They are not as well-known in the U.S. and elsewhere, which is a shame. United is their third studio album since reuniting a few years back, and follows the 2015 double disc/DVD Live At The Phoenix. They play old school melodic hard rock with giant hooks, singalong choruses and ample guitar solos from Pete Lesperance. Harry Hess is one of rock and metal’s more underrated vocalists, and delivers another stellar performance. 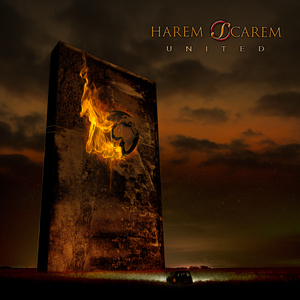 Harem Scarem know how to write memorable songs, with tracks like “Gravity” one of the album’s catchiest. The album would have been huge in the ’80s, and those who appreciate that era can still enjoy in in 2017. You can’t have too much of a good thing, if that good thing is well-executed hard rock reminiscent of the late ’70s/early ’80s. That’s exactly what British throwbacks Inglorious give us on II, their followup to last year’s very solid self-titled debut. 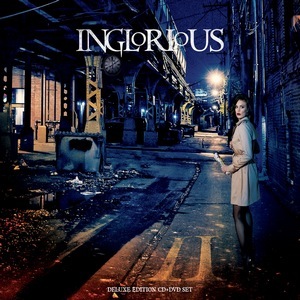 II follows the exact blueprint of Inglorious, meaning hard-rocking songs recorded as an entire band in one take. Nathan James, with his voice a mix of Chris Cornell, Sammy Hagar and David Coverdale, again paces the album with his larger-than-life delivery, and his vocals have improved since the band’s debut. In fact, the songwriting and musicianship have also improved, giving us a throwback album that’s fun and engaging all the way through. This one’s a keeper. 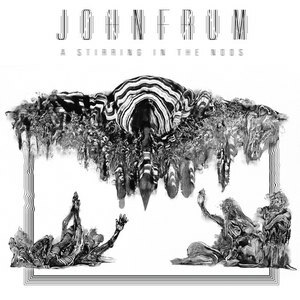 Six years in the making, A Stirring In The Noos is the debut from the death metal project John Frum, whose lineup includes vocalist Derek Rydquist (ex-The Faceless), guitarist Matt Hollenberg (John Zorn, Cleric), bassist Liam Wilson (The Dillinger Escape Plan) and drummer Eli Litwin (Intensus, Knife The Glitter). The arrangements are diverse, with songs moving from dense death metal to more experimental and psychedelic sections. They slow the tempo to a crawl on “Memory Palace” before accelerating to the end. There’s groove, chaos, technicality and unpredictability. The result is a wide ranging album with plenty of ebbs and flows and something different around every musical corner. And while every experiment doesn’t work, enough do to make it worthwhile. Australia’s Merchant are purveyors of massive blackened sludge. Their debut album, last year’s Suzerain, garnered comparisons to YOB and earned positive reviews, and Beneath continues that trend in uncompromising fashion. Beneath is a two song EP, with both “Guile as a Vice” and “Succumbing” clocking in just shy of fifteen minutes. Both songs are massively heavy, featuring speaker-shattering tone and thundering drums with effective harsh vocals. 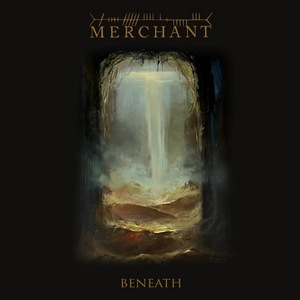 Three minutes of feedback to end the second song is a bit unnecessary, especially on a 29-minute EP, but Beneath leaves us wanting Merchant to drop a full length for us. 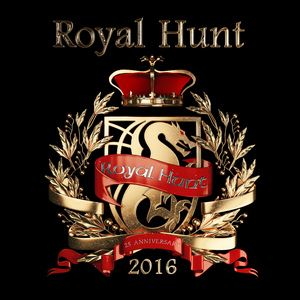 The Danish progressive/power metal band Royal Hunt have released the live albums 1996 and 2006, so it makes sense that since ten years have passed from that one, it’s time for 2016. It comes barely a year after their last live album, Cargo. 2016 was recorded in Moscow, and is a 2CD/DVD release. The setlist spans their quarter century career, with songs going all the way back to their 1992 debut Land Of Broken Hearts. The Russian crowd is an energetic one throughout the nearly hour long set. The band is tight, and vocalist DC Cooper’s pipes are in fine form. While not essential, it’s a nice addition to loyal Royal Hunt fans’ collection. 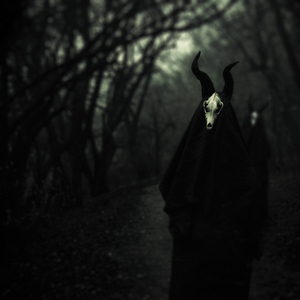 When Sabbath Assembly emerged on the scene several years ago, they drew attention for their lyrical focus on the hymns of the ’60s sect the Process Church Of The Final Judgement. These days, their approach still has mystical elements, but the lyrical topics on Rites Of Passage also focus on personal stories involving religion, dissolution of relationships and the physical and mental decline of a loved one. They deliver both upbeat psychedelic tracks and more reserved songs. They are at their best when the riffs and thick and the tempo quick, but do sparse and spooky just as well. The tracks are lengthy, with numerous shifts in tempo and intensity. Jamie Myers brings a varied vocal approach, ranging from a quiet singsong to aggressive singing. The occult rock genre has become a crowded one, but Sabbath Assembly remain one of the style’s unique voices. South African alt/grunge rock vets Seether have mastered the art of looking and sounding heavy without actually being heavy. 2014’s Isolate and Medicate brought them uncomfortably close to Nickelback territory, but the self-produced Poison the Parish sees the trio right the ship and bring us some more faux heavy grunge-tinged metal, much like Disturbed and, yes, heavy Nickelback. Throughout Poison the Parish Seether stick to a successful formula, with slickly-produced music and well-crafted songs that are ready for radio. It’s an effective album, with only a couple of minor missteps. 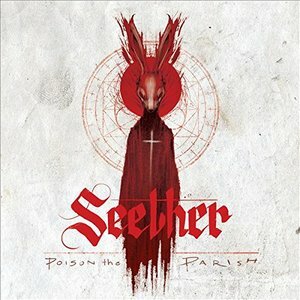 At 12 tracks, the length is perfect, and if you want a larger dose of Seether, the deluxe edition adds three more tracks. A saxophone that brings the slightest hint of soul into a lifeless ambiance; pulsing electronics that keep a chill on that sax-y soul; the chill that extends to a jazzy front on several songs: this is what White Ward do to differentiate their music on Futility Report. The Ukrainian band has a progressive mentality, undaunted by using a piano solo or non-metal instrumental whenever they see fit. That doesn’t ease the nihilistic lyrics, which feature “inspiring” lines like “All the efforts are futile” on repeat. White Ward have struck ground on a worthy debut. 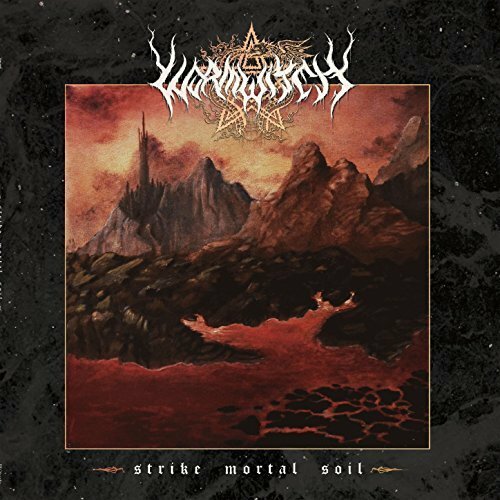 A touch of filthy punk and dirty rock ‘n’ roll goes along with the black metal on Wormwitch’s Strike Mortal Soil. This ever-present dynamic between all three styles threatens to unspool into madness, yet the group keeps it all under control and does so with gritty panache. There’s an admirable attempt for a deeper perspective on “Even the Sun Will Die” and “…And Smote His Ruin Upon The Mountainside,” though it doesn’t resonate with the same nasty charm as the other songs. When the tempos aim upward with no regard for restraint is when Wormwitch reach their apex.